Teeth rot for many different reasons. The failure to abide by a comprehensive oral health regimen causes gradual tooth decay. 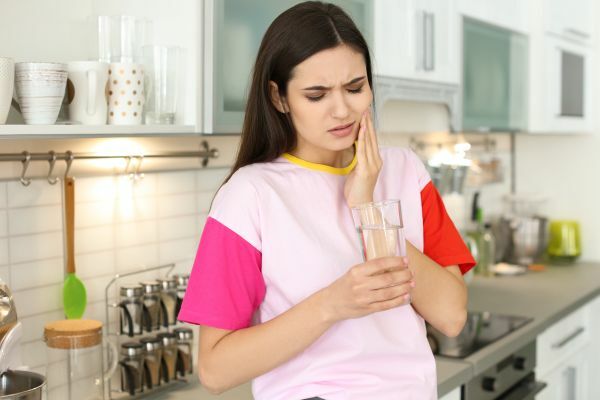 Below, we take a look at the different causes of tooth decay to help you prevent such rotting and enjoy a healthy mouth in the years to come. The process of demineralization causes teeth to decay. Demineralization occurs as soon as teeth are victimized by an acid attack. Acids eat away at the minerals on tooth enamel, causing considerable decay. This is a gradual process as the teeth decay quite slowly while acid dissolves minerals on the enamel. Teeth lose essential nutrients across the course of such acid attacks. The loss of such nutrients makes it that much more difficult to hold onto the gums and safeguard the inner layers of teeth. Bacteria accumulates on teeth and remains in place unless you brush after you consume food. This form of bacteria, known as plaque, consumes tooth enamel. Bacteria lives off the sugar in foods we all love to eat. The problem is sugar is in all sorts of foods and beverages, some of which are fairly healthy. You can do your part to prevent your teeth from rotting by controlling your sugar intake. If you indulge in sweets, clean your teeth about 20 minutes after you eat so the bacteria in your mouth does not have a chance to cause decay. Brush your teeth about 20-30 minutes after each meal to prevent tooth decay. The use of mouthwash will also help destroy bacteria that cause tooth decay. Floss between your chompers after eating, rinse with antibacterial mouthwash and visit the dentist every six months. Abide by this cleaning regimen and your teeth will be that much less susceptible to rot. The majority of people living in the United States take prescription drugs. Such medications do not directly cause tooth decay yet they can create an overly-dry mouth. Also known as Xerostomia, dry mouth is a common factor that causes teeth to rot. Dryness irritates the mouth's soft tissues, causing inflammation and increasing the chances of infection. Saliva is essential to protecting your teeth against bacteria. An overly dry mouth is at risk for infection to boot. If you take antacids, antidepressants, pain medication, blood pressure medication or antihistamines, you will experience dry mouth. You can combat dry mouth and eventual tooth rot by increasing your water intake and chewing sugarless gum to promote the production of saliva. Medical issues can contribute to tooth decay by sending acid from the stomach to the mouth. Bulimia is especially harmful to oral health as it subjects the teeth to stomach acid during vomiting. Even certain forms of cancer treatments that subject the patient's neck and head to radiation can cause tooth decay due to saliva alterations. Request a dental appointment here: https://www.drhai.com or call Ping Hai DDS at (770) 239-2722 for an appointment in our Marietta dental office. « Does Teeth Whitening Damage Them?